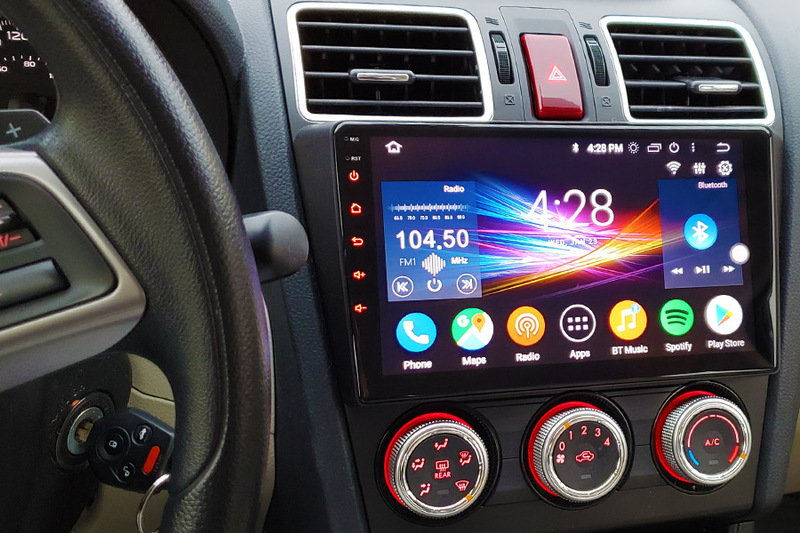 Custom Android-based stereo with 9'' screen for Subaru Impreza 2016, 2017, 2018 and 2019 model years. This unit is the most advanced Android-based stereo on the market with IPS screen (same as on modern phones), latest PX5 8-core chip, 4Gb of RAM and custom GTA Car Kits firmware for Android 8.0. This unit can be extended with Dashboard Camera, Backup Camera and Apple CarPlay / Android Auto module. Comes with all dash board pieces and all plugin cables required for installation. For best results the unit needs to be connected to the internet via WiFi stick inside the car or mobile hot-spot from the phone.